HSA Dermal Clinic is proud to offer the most advanced technologies and non-surgical procedures for effective and permanent scar treatment in London. Our experience and expertise extend to all types of common and rare scarring, which includes stretch marks, acne scarring, wound scars and many more besides. Our comprehensively non-invasive approach to scar treatment in London guarantees not only unbeatable results, but absolutely no downtime and no unpleasant side effects to worry about. We offer an extensive range of scar treatment options to suit all requirements and skin types, ranging from premium-quality topicals to advanced chemical peels to the latest in laser skin resurfacing technology. Our expert team will provide you with a comprehensive consultation and skin analysis, in order to offer you the most effective and affordable scar treatment you’ll find anywhere in London. Contact a member of the HSA Dermal Clinic team today for more information, or to arrange your obligation-free consultation. Enjoy a life free from problematic scarring, with our advanced scar removal treatments in London. 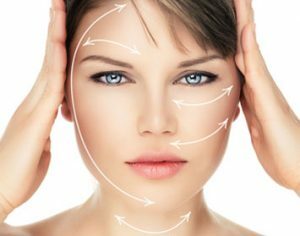 HSA Dermal Clinic works with a range of cutting-edge technologies and advanced techniques to quickly and permanently address problematic scar tissue. Whether looking to deal with stretch marks, eliminate acne scars or reduce the severity of even the most advanced scarring, you can count on our new-generation scar removal treatments, performed by London’s most capable clinicians. We exclusively provide a safe and effective, 100% non-invasive alternative to traditional cosmetic surgery. As such, we can offer you the most effective scar removal treatments in London, without the unpleasant side effects or disruptive downtime. What’s more, depending on the nature and severity of the scarring, you could be looking at outstanding results after just a single session. From chemical peels to advanced skincare products to cutting-edge laser technology, we’ll help you decide on the very best course of action for your skin. Contact a member of the HSA Dermal Clinic team today to book your consultation.